I used to think that greenhouses had to be heated during the winter until I started reading books by Elliot Coleman. Books like The Winter Harvest Handbook and Four-Season Harvest opened my eyes up to a whole new way of growing throughout the winter. I figured that if Elliot Coleman could grow vegetables during winter in Main or Jean-Martin Fortier could grow throughout the winter in Southern Quebec I had to be able to do grow vegetables during the winter in Southeast Oklahoma. Last year was my first time to grow in an unheated greenhouse. 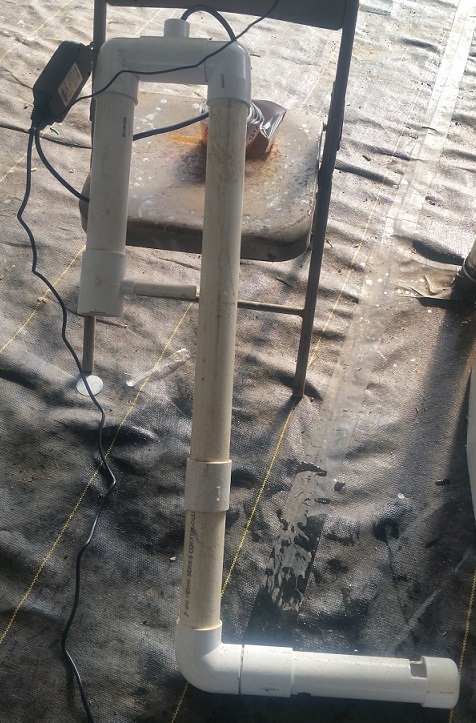 I was successful growing lettuces and herbs using my aquaponic system without heat. 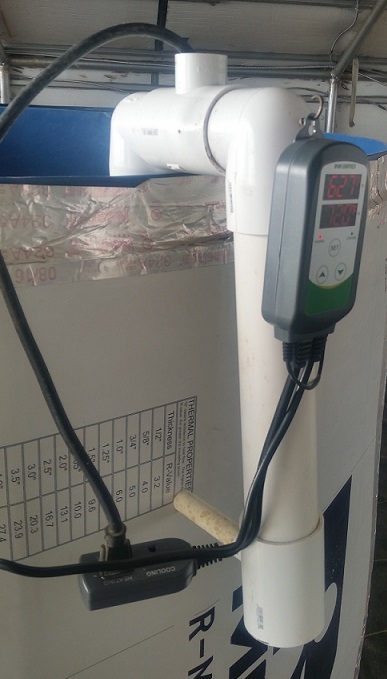 I did heat the water in my fish tanks using home made water heaters, I kept the water t temperature around 60 to 50 degrees F. During the nights when the temp dropped to low I would use row covers over my grow beds. I learned that during the night the greenhouse would maintain ten to fifteen (15°) degrees warner than the outside temperature. 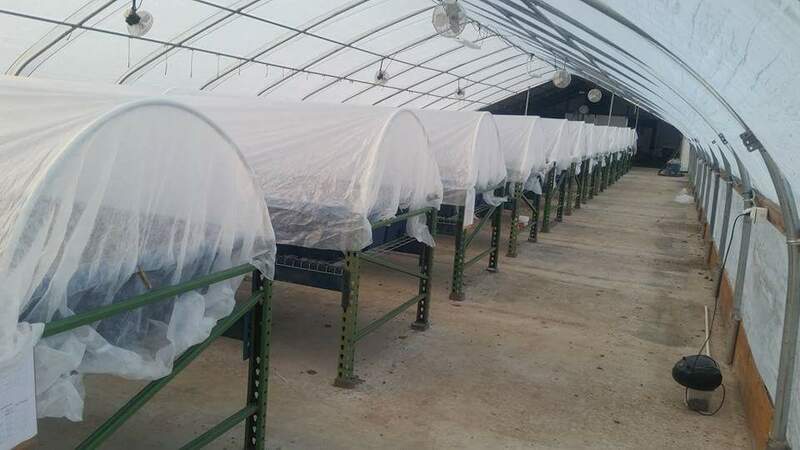 When I used row covers over my grow beds the temperature around the plants would increase four to six degrees with each row cover. I did add a double row cover a few times during the winter giving me at least eighteen (18°)degrees over the outside temperature. This winter the worst night we had the temperature got down to twenty (20°) degrees. The lowest temperature the greenhouse got that night was thirty-three (33°) degrees. So far this winter I have not had to use the row covers. I do try to maintain my water temperature around seventy (70°) degrees using the water heaters I made. There are two main reasons I try to maintain the water temperature at seventy degrees. Tilapia are a warm water fish liking the water temperature above seventy degrees and plants roots are able to provide good growth at that temperature also. Beneficial bacteria are able to perform their best around the same temperature. Tilapia would do much better if I maintained the water temperature at seventy-five degrees and the plants would perform better also. The only thing holding me back from maintaining this temperature is that I need to make another heater. I’m heating five thousand gallons of water. At the moment I only have three heaters made. An other thing I did to help maintain water temperature is that I wrapped expanded polystyrene foam board insulation around the fish tanks. For lettuce, radishes, beets, herbs, and many other crops growing during the winter is not a problem as long as the leaves do not get frostbitten. Their growth might slow a little due to the cooler temperatures and the shorter days but with the proper care they do quite well. I have learned that cucumbers and squash stop flowering at cooler temperatures making it useless to grow them until early spring. Tomatoes survived until a last week, the first week of December. They were flowering and still putting off fruit until we had several days in a row where the temperature was in the twenties. If I had placed row covers over them they probably would have survived during those cold days. I still have jalapeno peppers growing in one of my aquaponic beds, they no longer flower or produce fruit but they have not dropped their leaves, they look marginally healthy. I will start germinating seeds for early spring planting later this month. Between the aquaponic system and the hoop house I will be able to have cucumbers, tomatoes, and squash by May. The growth will be slow but being able to provide summer vegetables in early spring is well worth the effort of using row covers. Through experience I’m learning that we shouldn’t fight mother nature but work with her. This will eliminate many of the struggles we have growing vegetables and the cost of production of production.